Here in San Antonio we get a kick out of visitors who ask, “where is the Alamo?” — and they are standing right in front of it! In the iconic 1960 John Wayne movie of that name his first view of the Alamo is across the dry Texas plains. Even in 1836, the Alamo was located in what then passed for the inner city. And Texas isn’t in the desert — you’ll be surprised how GREEN our beautiful city is. The 1960 Alamo Movie was filmed on a full-scale replica of the mission and the surrounding city in Brackettville, Texas, 128 miles (206 km) due west from San Antonio, not far from what is now the Mexican border. 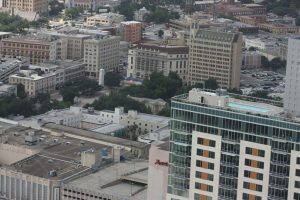 This current aerial photo will give you a better idea of what to expect in 2016: that little speck surrounded by trees in the center of the photo is the Alamo. 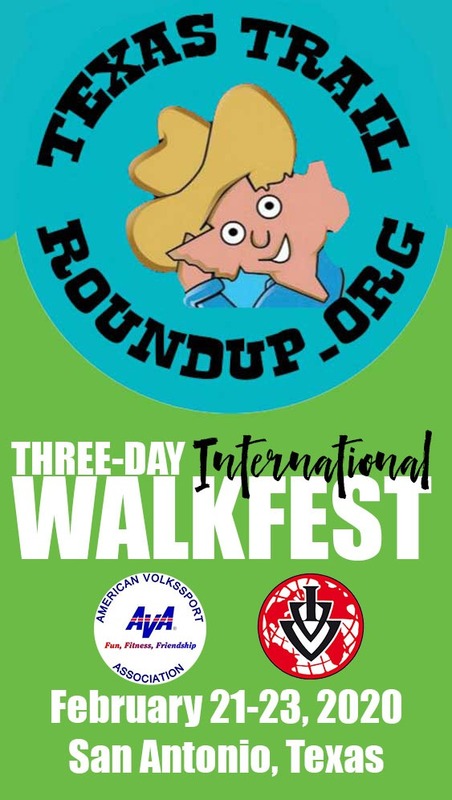 Our walk on Friday will walk right by the Alamo: don’t miss it!